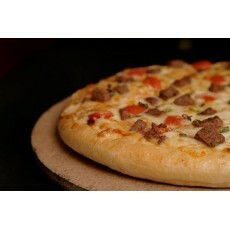 Beef Steak Pizza is flavored with Beef Steak sauce and topped with sliced Beef Steak. ..
With tons of pepperoni,Italian sausage,beef and loads of cheddar and mozzarella cheese on your favorite crust Size: 13 inches ..
With tons of pepperoni,Italian sausage,beef and loads of cheddar and mozzarella cheese on your favorite crust Size: 10.5 inches ..
With tons of pepperoni,Italian sausage,beef and loads of cheddar and mozzarella cheese on your favorite crust Size: 6 inches .. 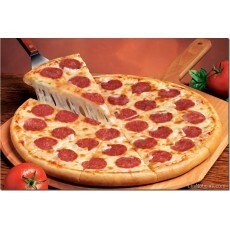 Premium pizza smothered with loads of pepperoni and assorted with two layers of 100% pure mozzarella cheese Size: 13 inches .. 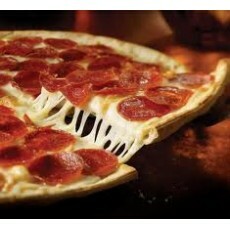 Premium pizza smothered with loads of pepperoni and assorted with two layers of 100% pure mozzarella cheese Size: 10.5 inches .. 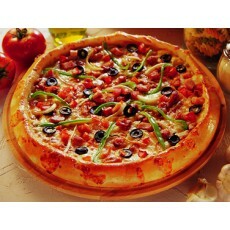 Premium pizza smothered with loads of pepperoni and assorted with two layers of 100% pure mozzarella cheese Size: 6 inches .. It is a kind of pizza for the spice lovers,blended with loads of spice,tasty beef,finely cut onion,tomatoes, green chili and tons of mozzarella cheese Size: 13 inches .. It is a kind of pizza for the spice lovers,blended with loads of spice,tasty beef,finely cut onion,tomatoes, green chili and tons of mozzarella cheese Size: 10.5 inches .. It is a kind of pizza for the spice lovers,blended with loads of spice,tasty beef,finely cut onion,tomatoes, green chili and tons of mozzarella cheese Size: 6 inches ..